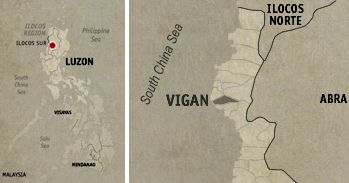 Images of old and stately ancestral houses, silent sentinels against the moonlit sky, were flashing through my slept-deprived mind as our van bounced through the road en route to Vigan City. Departing Manila by midnight, we expected to arrive at the only UNESCO-stamped city in the country by sun up. 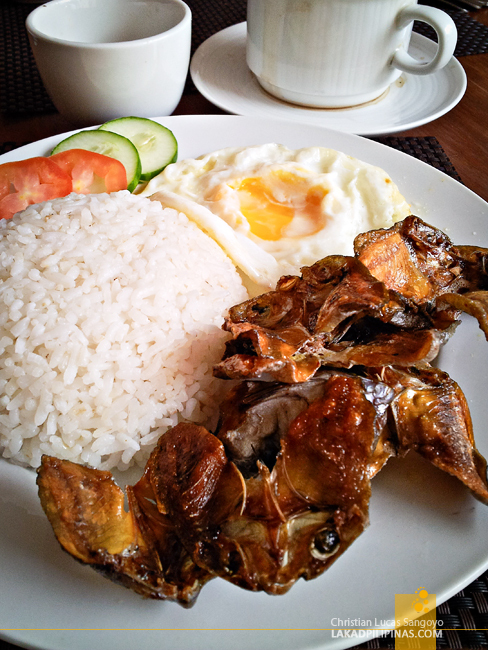 Our first taste of Vigan City came in the way of breakfast. Arriving at Hotel Felicidad by sunrise, our bags were immediately hauled to our respected rooms and our group, herded through the hotel’s dining area. 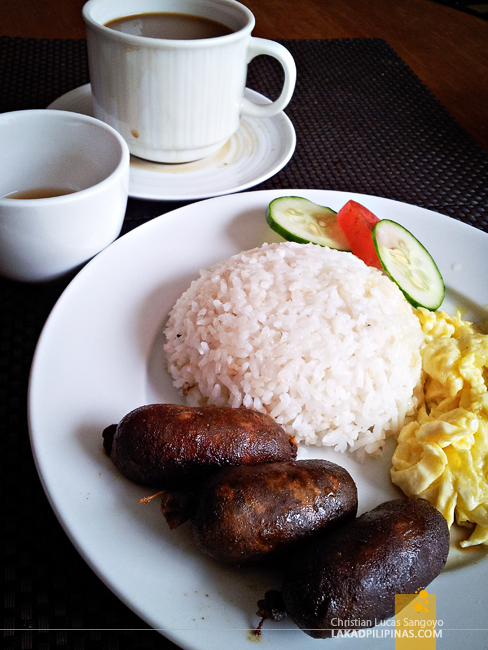 A buffet of Vigan longanisa, danggit, eggs and a few other assortments greeted us. Always a sucker for longsilog, I queued up, grabbed a couple of garlic sausages and headed for their al fresco dining area. Plateful of goodies and a steaming cup of brewed coffee in hand. After having my fill of Vigan’s local delicacies, we trooped to our room to see what’s in store for us. Together with D and J, we were assigned to fill one of Hotel Felicidad’s Niños Suites. 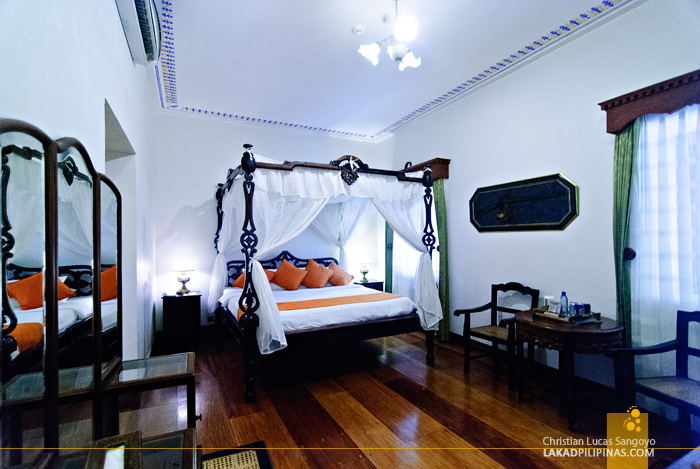 As its name suggests, this kind of room used to bed kiddos during the Spanish Era in the country. 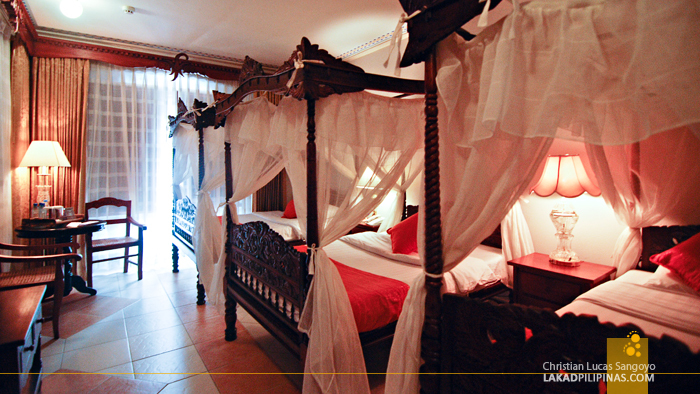 Three intricately carved four-poster beds, locally called Atay’s, awaited us. Complete with wispy drapes, it transported us from 2014 to the 1900’s. While the room is said to be for kids, the beds are big enough to comfortably fit two grown-ups. It has its own closet, an LCD cable TV and Internet Wi-Fi. And as expected, we all instantly hooked our gadgets to charge up, it’s a good thing there were a lot of electrical outlets spread throughout the room, we didn’t encounter any problem at all. The toilet and bath, while without a tub, is quite nice. 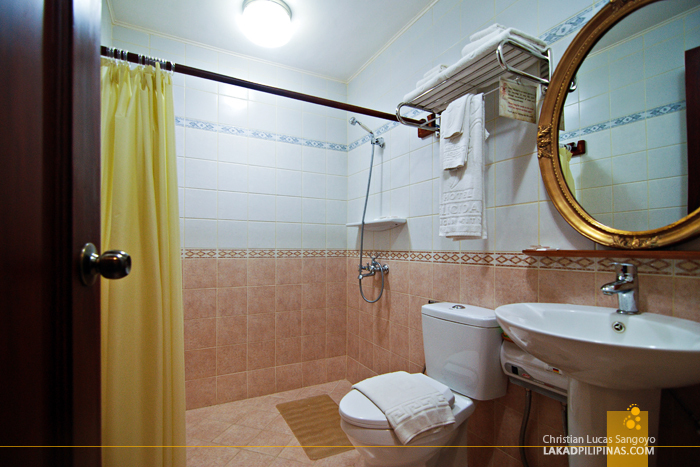 It is clean, spacious and fitted with modern appurtenances—it even has a bidet. Hot water is readily available, a big plus for cold morning baths. Linens and toiletries were also provided for by the hotel, so no need to pack one in the bag. While waiting for my mates to prep up, I had a chance to explore the hotel a bit. 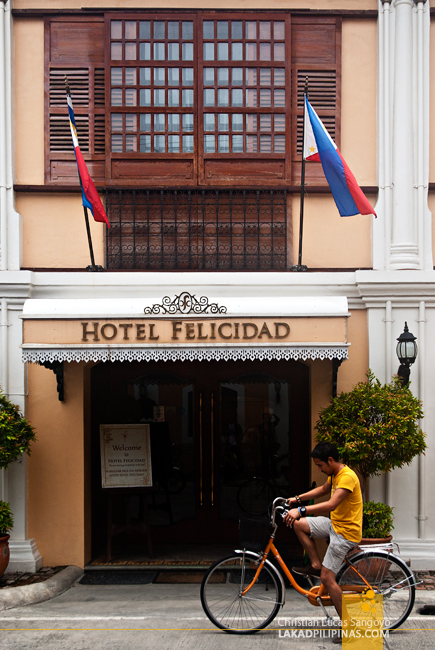 Hotel Felicidad, as I first suspected, is a renovated Bahay na Bato which Vigan City is famous for. My first clue was the thick walls and arches that delineate each space from the next. While one can easily construct an ancestral house reproduction in these times, using twelve-inch thick walls is simply uneconomical. 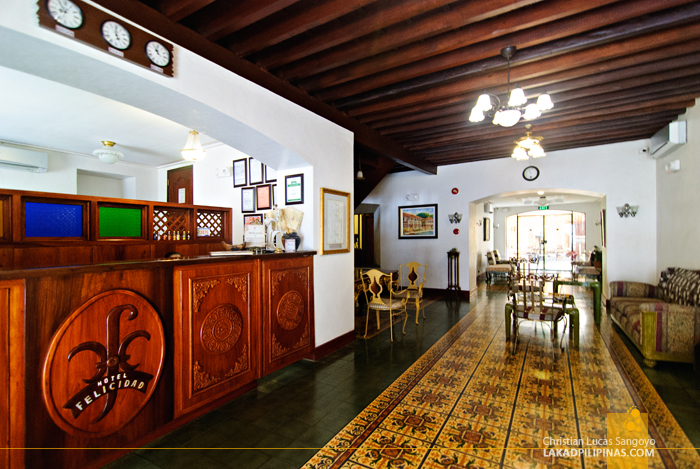 The history of Hotel Felicidad goes all the way back to the year 1918, its original construction date. 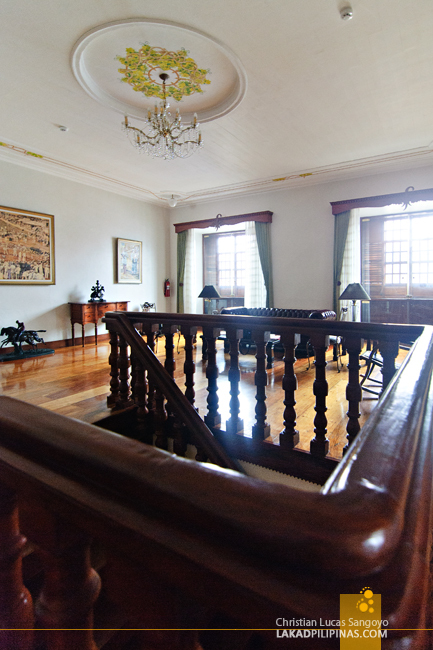 The mansion was then owned by Dr. Filadelfio de Leon and Doña Primitiva Donato who consequently gave the casa—as these old houses in Vigan are called—to their grandchildren as inheritance. 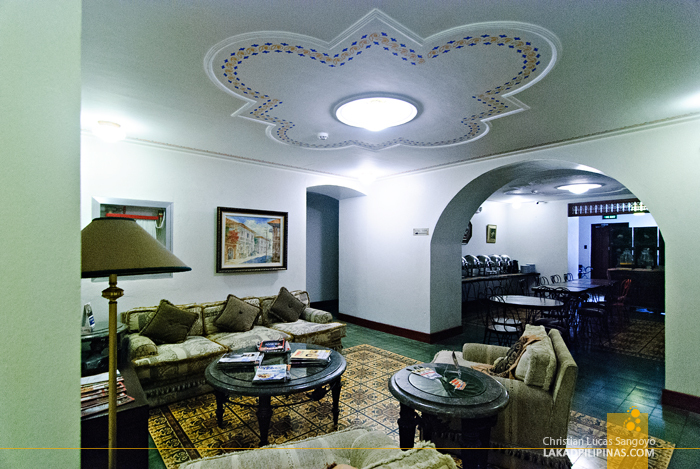 They, in turn, transformed it to an inn to accommodate the growing number of visitors in the city. They dubbed it as the La Feliza Tourist Inn. 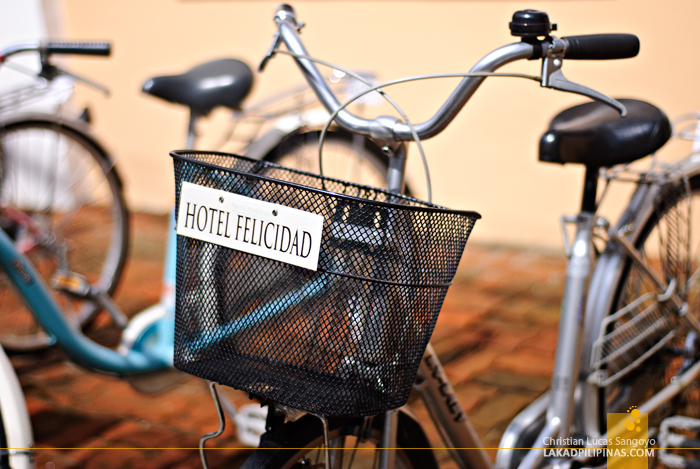 By 2012 the property was acquired by another corporation, and Hotel Felicidad was born. But even without checking the facts, the hotel’s annals can clearly be gleaned from its interior; its colorful Baldosa tiles, the dark hardwood furniture, the carved moldings of its grand staircase, the sparkling chandeliers, its exposed second floor beams and, of course, its stately old rooms. And speaking of rooms, Hotel Felicidad’s manager Mia Aguila, was gracious enough to tour us around the different rooms of the hotel. They have a total of twenty one rooms, she said, classified into six categories; Standard (3pax), Superior (5pax), Maestra Suite (6pax), Maestro Suite (4pax), Deluxe (5pax) and Niños Suite (5pax). For the quality, their rates—which includes breakfast—are quite competitive, you may check them here. 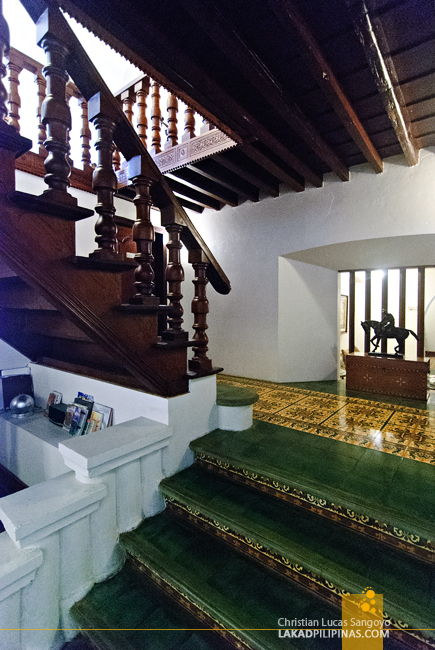 Besides bed and lodging, Hotel Felicidad also offers tours around Vigan and the relatively nearby Laoag and Pagudpud tourist destinations. Inclusive of tour guides, entrance fees, meals and snacks, they can take you around using coasters and vans, depending on how large or small your group is. Curiously, I also saw a Tuktuk tricycle parked in front of the hotel, they said it is primarily used to fetch guests from bus terminals free of charge. For those wanting a more personal tour of Vigan City, there are bikes being rented out by the hotel for only Php150.00. If I’d known about this during my first trip to Vigan some years back (where I literally just walked all over town and all the way to Baluarte), I would’ve rented these in a jiffy. But besides its history and look, what I really liked about Hotel Felicidad is its location. 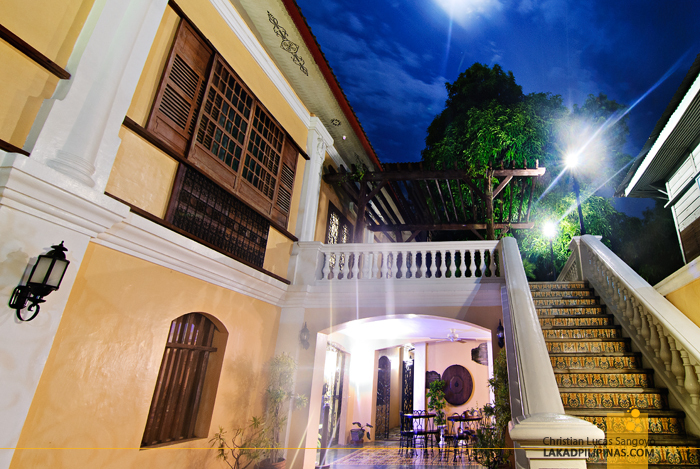 It is literally just a few steps away from Vigan City’s famous tourist spots and landmarks; the St. Paul Metropolitan Cathedral, Plaza Burgos, the Syquia Mansion and the city’s most famous destination, the cobblestoned street of Calle Crisologo. 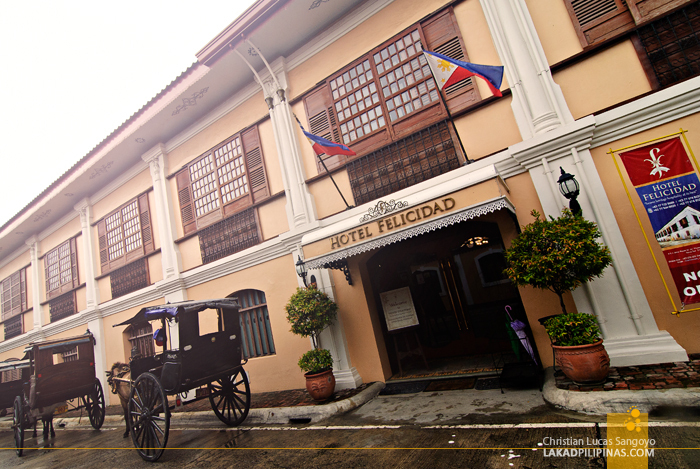 Hotel Felicidad is definitely the perfect place as a base camp while exploring Vigan City.